Directors, managers and leaders at MarketSphere engage with all team members to facilitate opportunities in creating and implementing our vision. 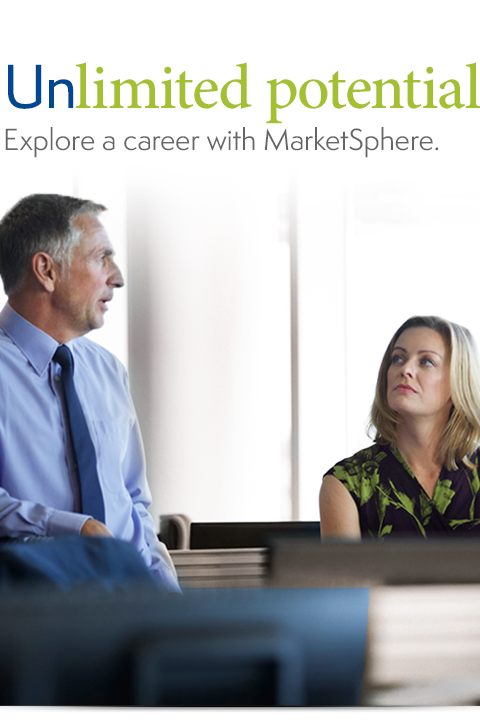 MarketSphere believes clients are best served at a deep, more strategic level. Although we can provide any à la carte unclaimed property service for our clients, we are at our best when we partner with them in comprehensive, resourceful ways to help protect their future. We've been very fortunate to have hired a group of motivated professionals who really enjoy working with one another — and this shows in the group's productivity, customer relationships, and overall low attrition rate in the practice. If you are a highly-motivated individual with a desire to make a career out of Unclaimed Property, we would like to meet you.